The Wairarapa is located in the lower right hand corner of New Zealand’s North Island just over an hour’s drive from the Wellington International Airport and inter-island ferry connections. There is also a daily train service between Wellington and the Wairarapa towns of Featherston, Greytown Carterton and Masterton while a bus operates between the Featherston Railway Station and Martinborough. The Wairarapa is also only an hour’s drive from the Palmerston North Domestic Airport. Driving to the Wairarapa is easy with The Classic New Zealand Wine Trail on State Highway 2 weaving through rural landscape, including vineyards, olive groves, beef, sheep and dairy farms. The Wairarapa’s pretty colonial towns and boutique wineries are always a conferencing highlight, but the region’s diverse and at times isolated landscape is also a major drawcard. 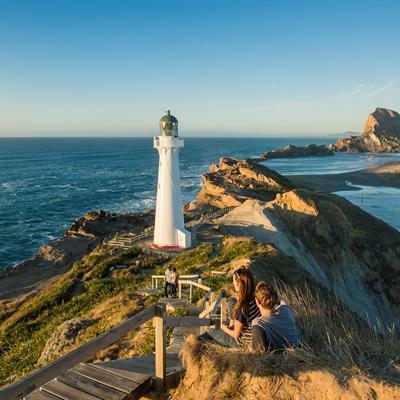 The dramatic coastline is rich in history and geology and includes the two scenic lighthouses at Cape Palliser and Castlepoint while the Tararua Forest Park, Rimutaka Forest Park and Aorangi Forest Park offer endless outdoor adventures. A range of cycle routes, including The Rimutaka Cycle Trail a ‘Great Ride’ on Nga Haerenga, take in the rural landscape and rugged coastline. Vineyards, olive groves, orchards and rolling pastures in sheep, beef and dairy farms are a constant reminder why this region is home to some of the country’s leading artisan food producers and wine-makers. -Wairarapa is the wine region for Wellington, New Zealand’s Capital City which is only one hour’s drive or train ride away. -Wairarapa offers unique attractions including Stonehenge Aotearoa, Tui Brewery, The Vintage Aviator and being able to see the white Kiwi at Pukaha Mount Bruce Wildlife Centre. -The vineyards in the wine village of Martinborough features over 20 wineries, most within walking distance of the quaint village square which is laid out in a Union Jack pattern. With wide open spaces, colonial heritage, truly unique off-site activities and reputation as one of New Zealand’s top wine and food destinations, the Wairarapa is a great conference location for organisers seeking somewhere memorable. Tui Brewery and the purpose built Carterton Events Centre located close to major attractions, nearby activities and Copthorne Solway Park Hotel and Resort. Martinborough based Peppers Parehua, Brackenridge and Martinborough Hotel have a great outlook for those wanting a vineyard or rural setting. With more than 90 years’ experience in the transport industry and based in Wairarapa, Tranzit Coachlines is always there to get you from A to B. 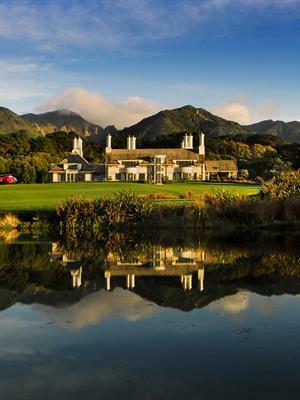 The Wairarapa is well equipped to host small to mid-size conferences thanks to its wide variety of accommodation located throughout the region including luxury lodge Wharekauhau, with dramatic coastal views, 5 Star hotels, motels and charming B&Bs. There’s no shortage of memorable experiences to enjoy in the Wairarapa. These include interactive farm tours, wine tours, cycling the vines or enjoying a round of golf on any of the region’s nine courses. Visit truly unique attractions such as Stonehenge Aotearoa, Tui Brewery, The Vintage Aviator and Pukaha Mount Bruce National Wildlife Centre where you will see New Zealand’s only white kiwi in captivity.